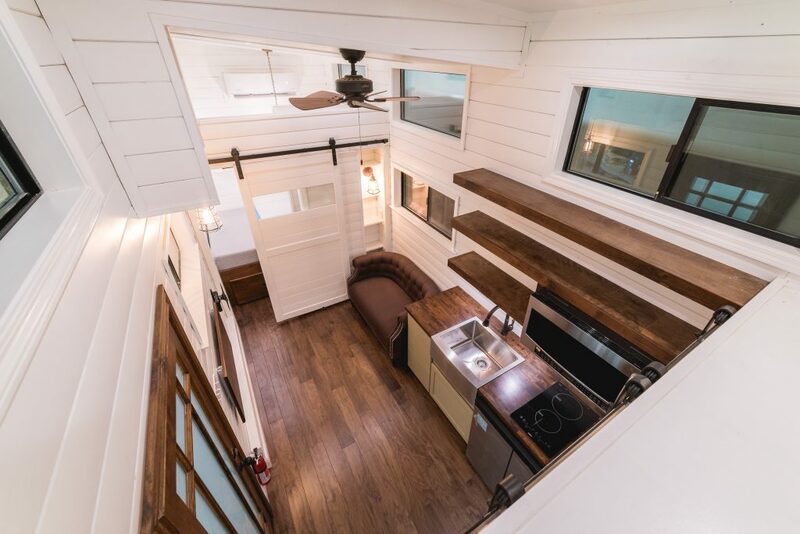 Tiny homes are more than just a passing trend popularized by television shows, opinion editorials and blogs; they are a movement born out of a growing need and desire of homeowners to downsize, customize and simplify—all the while maintaining maximum function and style. Tiny homes, in fact, offer their residents big living opportunities through their inherent cost savings and mobility, which has resulted in Tiny Home Communities popping up across the country and even around the world. But what exactly is a tiny home and why are more and more people bucking tradition to live in them? 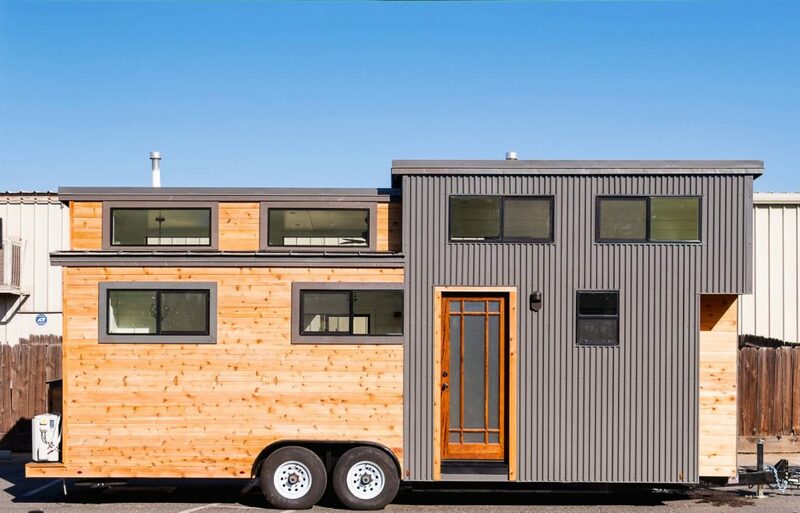 While there is no hard and set rule about what constitutes a tiny house. They are—in short—residential structures that typically measure between 100 and 400 sq./ft. ; the standard newly purchased U.S. single family home takes up nearly 2,100 sq./ft.1 These homes feature the same types of materials, construction and aesthetics you find in their larger, more permanent counterparts. Can you really live in a Tiny Home? Tiny homes certainly aren’t for everyone. If you have a large or growing family, or just enjoy having tons of space in which to live and entertain, you’re probably better off sticking with the traditionally-sized home. However, if you’re looking for a more affordable option, need a guest house, or are looking for a low-cost vacation home, tiny homes might be a great fit for you. In addition to being used as full-time residences, tiny homes are also used as short-term rental properties, and to house the homeless and those displaced as a result of destructive weather events. Many of the concerns people have about living in a tiny home center around their need to have room for all of the things they possess: furniture, clothes, entertainment, knick-knacks, etc. It is true that those who choose to live in a tiny home shed many of their material possessions for a simpler, more minimalistic lifestyle. However, tiny homes can also be custom-built to feature loads of strategically-designed storage space to suit your lifestyle. You also don’t have to give up modern conveniences when living in a tiny home. These smaller spaces make use of generally unused or underutilized spaces to house full-size washer and dryer units, refrigerators, ovens and showers, as well as queen-size beds and fireplaces. The average cost to build a tiny house is $23,000 if built by the owner as compared to the $272,000 average cost for a standard-size house before interest2. In a time when a staggering 46 percent of Americans would either have to borrow money or sell something in order to cover a $400 emergency expense (as reported by the Federal Reserve Board in a recent survey), this in an attractive idea. Additionally, considering the slow-growing economy has done little to increase wages, it’s not surprising that spending one third or even one half of their monthly income on living expenses has left approximately 75 percent of American workers across a range of education and income levels living paycheck to paycheck. This includes nine percent of people earning $100,000 or more per year who feel they usually or always struggle to make ends meet (Harris Poll). The Metal Panel Difference: While metal can—in some cases—be more expensive that more traditional building materials when initially purchased, their value is long-term in the form of increased durability, wind-resistance, fewer maintenance requirements, cost-saving energy efficiency, and inherent strength and structural integrity. In fact, over a metal roof’s lifespan (about 60 years), traditional shingles can cost just as much, if not more.3 Read more about the long-term value of metal panels here. So while some buyers may be aiming to minimize their carbon footprint and live more simplistically, many people are looking to realize the economic benefits tiny homes offer. For them, the long-term durability and overall debt reduction thanks to lower purchase prices and taxes, reduced energy and maintenance costs, and more time living mortgage-free is driving them down this here-to-fore unusual path. Want More Information on Tiny Homes? In the next two blog articles in our Tiny Home series, we go into more detail about the advantages of metal panels for tiny homes. 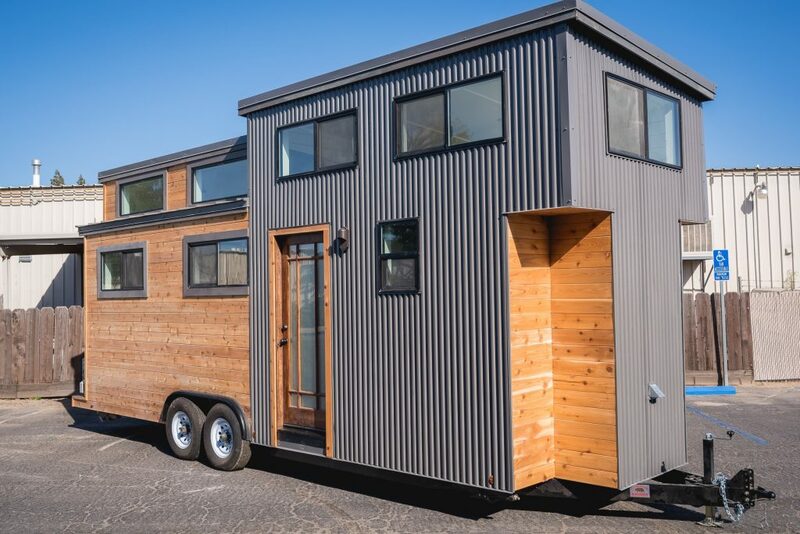 Metal Panels for Tiny Homes Part 1 will discuss mobility and customization; Part 2 will provide practical guidance on weather considerations, installation and maintenance. For more information on metal panels for Tiny Homes, visit our website or contact your local sales representative.